We’re a group of dedicated accountants serving businesses and individuals. We’ve been in business for over 28 years. We’ve got over 46 years of combined experience, and 3 QuickBooks ProAdvisors on staff. At Intrust CPA, we are about building relationships. Our clients come back year after year because they know they can trust us and they know we’ll give them the personalized attention they deserve. We enjoy what we do and we enjoy solving problems. We will maintain the highest personal and professional ethical standards. We will use our entrepreneurial and professional skills to help each client reach their maximum potential. We will strive for open, honest and effective communication. We will actively listen and question to understand. We will combine a modern business environment with social, community and environmental stewardship. We will utilize the most advanced technology practicable, ensuring client and firm efficiency, security, and profitability. 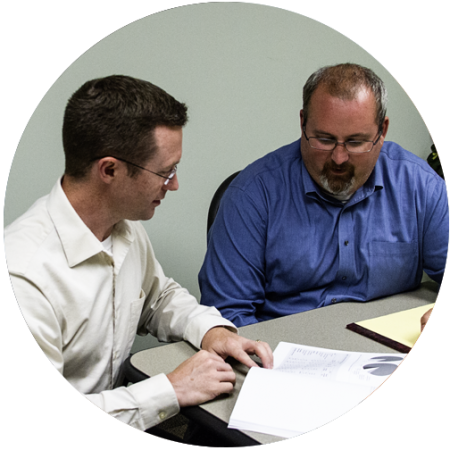 Intrust CPA partners with business owners and individuals to achieve their financial goals. We provide timely, accurate, and meaningful information on which to base their financial decisions. We specialize in customized accounting, business solutions and tax strategies for small to medium sized businesses. Intrust CPA is a trusted accounting firm serving Northern Michigan. We provide year-round, cost effective services. Our experience enables us to take the initiative to anticipate and meet clients’ needs by utilizing knowledge, sound advice and the most advanced technology available. We develop personal relationships with our clients and operate from the highest ethical standards.